Are you looking for the best plugins to manage images on your WordPress site? Images help bring life to your content and boost engagement. In this article, we will share some of the best WordPress plugins for managing images more efficiently on your website. 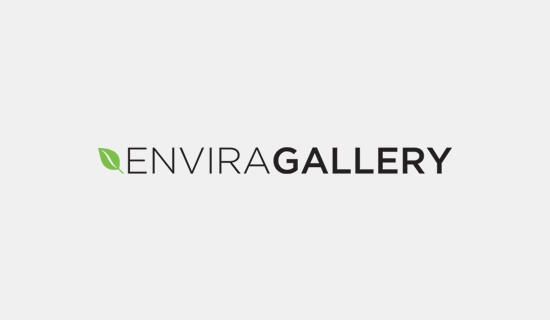 Envira Gallery is the best WordPress photo gallery plugin in the market. It allows you to create beautiful and mobile-responsive image galleries in WordPress with just a few clicks. Envira is optimized for performance, so your galleries load fast. It is also the most SEO friendly photo gallery plugin for WordPress. Envira has tons of features like albums, image tagging, watermarking, proofing, and so on. There is also a WooCommerce addon which allows you to add an online store to sell your photos. Sliders allow you to drive user’s attention to your most important content with beautiful image slideshows accompanied by text, call to action, and animation. However, Sliders can also slow down your website speed which affects user experience and SEO. 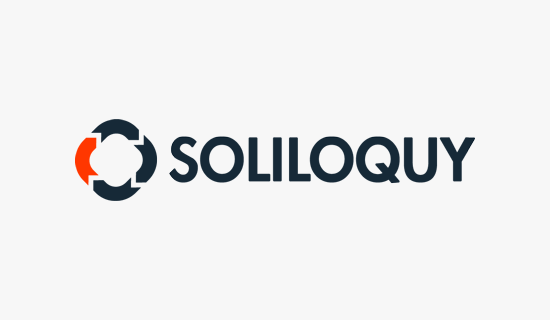 Soliloquy is the best WordPress slider in the market today. It is noticeably faster than any other WordPress slider. It is also the most easy to use with tons of features like featured content slider, carousel, slider themes, lightbox, etc. Images take longer to load than text, and this affects your website speed and performance. The best way to deal with this is by optimizing your images for the web. EWWW Image Optimizer is the best WordPress plugin to automatically optimize your images in WordPress. It comes with powerful tools to compress images without affecting quality. Imsanity allows you to set a maximum image height and width for WordPress uploads and automatically resizes large image files. It can also perform bulk resize on older uploads based on your settings. Sometimes you or another author on your site may forget to add a featured image to the blog post before publishing. This may affect your site’s layout, and if you are automatically sharing posts on social media, then those sites will just pick any image from the article as post thumbnail. Require Featured Image plugin does not let you publish a post until you add a featured image. It will remind you that you haven’t added a featured image and will disable the publish button until you add a featured image. For more details, see our guide on how to require featured images for posts in WordPress. WordPress does not show whether or not there is a featured image available for a post on the ‘All Posts’ screen. To see if a post has featured image, you will have to edit it. Featured Image Column solves this problem by adding a featured image column on the posts screen. For more details, see our article on how to add a featured image column in WordPress. As the name suggests, this handy plugin allows you to easily set a default featured image to use as fallback for posts that do not have a featured image available. Simply install and activate the plugin, and then head over to Settings » Media page to upload a default image. For alternate methods, see our article on how to set a default fallback featured image in WordPress. This plugin allows you to add a featured video to your WordPress instead of a featured image. Simply add the video URL, and it will automatically fetch the video thumbnail. It supports YouTube, Vimeo, Dailymotion, Soundcloud, Spotify, etc. 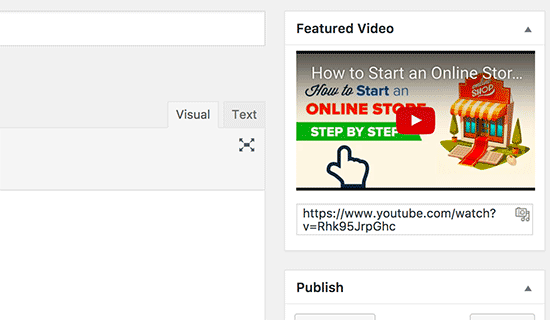 For more details, see our guide on how to add featured video thumbnails in WordPress. Normally, if you want to add an image to your WordPress sidebar you will have to manually add it inside a text widget using HTML. Image Widget plugin adds a widget that you can drag and drop to a sidebar and then select or upload an image. For detailed instructions, take a look at our article on how to add an image in WordPress sidebar widget. As the name suggests, this plugin enables featured images for your RSS feed. If you are using MailChimp to send posts via email to your subscribers, then those users will also see featured images for posts. For an alternate method, see our tutorial on how to add featured images to WordPress RSS feed. 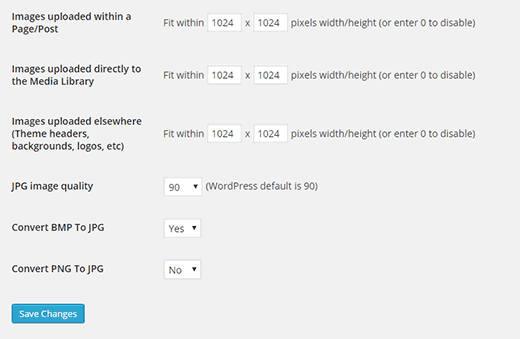 When you upload an image, WordPress automatically saves it into multiple sizes. These sizes are defined in Settings » Media page. WordPress themes can also add their own image sizes to be used for thumbnails. If you activate such a theme, WordPress will start saving images in those new sizes as well. However, it will not recreate new sizes for older images. Regenerate thumbnail allows you to quickly regenerate all image sizes in WordPress. 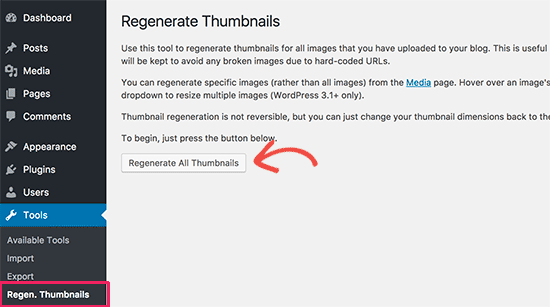 For detailed instructions, please take a look at our guide on how to regenerate thumbnails and new image sizes in WordPress. This plugin allows you to link or import files from Dropbox, Box, OneDrive, Google Drive, Instagram and any other external file into WordPress. This offers you an easier way to work on images stored on your Google Drive or Dropbox accounts by accessing them directly from WordPress. For detailed instructions, see our guide on how to connect Google Drive to your WordPress media library. After uploading a featured image, sometimes you’d notice that WordPress has cropped it, or it is not showing up correctly with your theme. You can edit the image in your favorite image editing program, or you can use this plugin. Post Thumbnail Editor allows you to easily crop and resize featured images from your WordPress admin area. You can also edit previously uploaded featured images. For detailed instructions, see our guide on how to crop and edit WordPress post thumbnails. Easy Watermark allows you to easily add watermarking to your WordPress images. You can choose to automatically watermark all images or manually add watermark to specific images. If you are already using Envira Gallery, then you don’t need this plugin. You can use Envira’s watermarking addon instead. 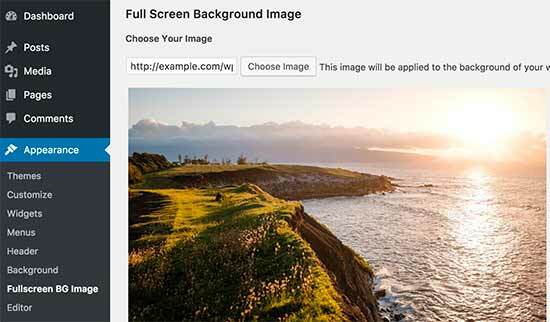 Simple Full Screen Background Image allows you to easily add full screen background image to any WordPress theme. Many WordPress themes already allow you to easily add full screen background images. However, if your theme does not support full screen background images, then you can try this plugin. For step by step instructions, see our tutorial on how to add a fullscreen background image in WordPress. WP First Letter Avatar allows you to show a custom avatar using the first letter of user’s name. You can show it only for users who don’t have a Gravatar image or completely replace Gravatar with first letter avatars. Learn more about it in our guide on how to set custom avatar for users in WordPress. Do you want to add image icons or thumbnails to your categories or tags? Taxonomy Images allows you to do just that. After activating the plugin, simply go to Posts » Categories page and click on the add button to upload your images. For detailed instructions, check out our guide on how to add taxonomy images in WordPress. Ever wanted to change the file name of an image after uploading it? WordPress allows you to change image title and alt text, but you cannot change the file name. Media File Renamer plugin allows you to easily change any file name in WordPress media library. It also automatically rename file names based on file title you enter during upload. Renaming a file using the plugin also updates all references to the file in your WordPress posts and pages. 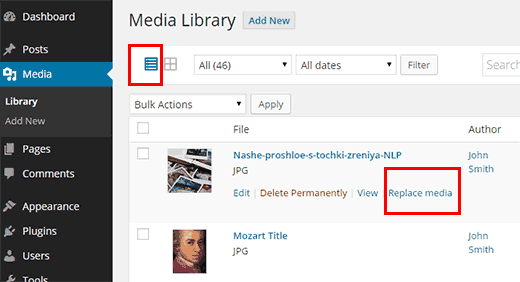 For more details, see our guide on how to rename image and media files in WordPress. Most beginners have difficulty finding copyright free images for their blog posts. ImageInject plugin solves this problem by allowing you to search Flickr for creative commons licensed photos and add them to your posts with proper attribution. For detailed instructions, take a look at our article on how to find and add creative commons licensed images in WordPress. If you have to replace an image in your WordPress posts, normally you’d have to edit the post to add your new image and removing the old one. If you have used that image in multiple posts, then you will have to edit all those posts to add new image. 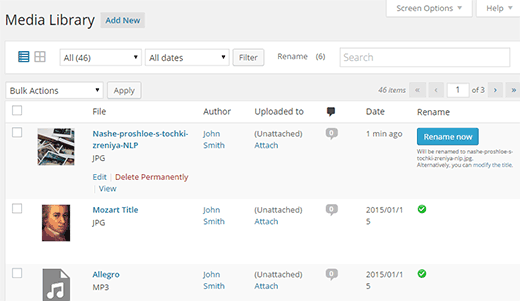 Enable Media Replace plugin allows you to replace media files directly from the WordPress media library. Replacing an image automatically replaces it on your posts and pages where you have added the old image. See our guide on how to easily replace images and media files in WordPress. Featured images attract users to click on your articles. Ever wondered what kind of featured images work best on your site? A/B Image Optimizer plugin helps you figure this out. It allows you to add two featured images for a post and then it randomly shows those images to your users. You can see which featured image got more clicks by editing a post. For more details, take a look at our guide on how to A/B split test featured images in WordPress. Want to show your Instagram photos on your WordPress site? Instagram Feed allows you to easily display your Instagram feed using a sidebar widget or shortcode. Simply connect your website to your Instagram account, and it will automatically pull your feed. You can customize the feed using different display options in plugin settings. If you’re using Envira Gallery, then you can do this with their Instagram addon. These tools are not WordPress plugins, but they can help you improve the quality of images on your WordPress site. 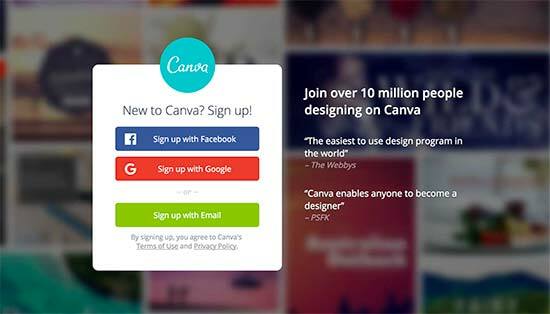 Canva allows you to create all kind of graphics with easy to use drag and drop tools.It comes with professional looking templates that you can use as a starting point. You can also purchase stock images, icons, and other resources directly from the app. Shutterstock is one of the largest online resource for stock photography, clipart, illustrations, and vector graphics. We are a customer of Shutterstock and can vouch for the quality of images. We hope this article helped you discover great WordPress plugins to manage images on your website. You may also want to see our how to fix common image issues in WordPress. Your post are the best that can be found on the internet for WordPress (very well written) and I have purchased 2 of your products (WPForms and Soliloquy). 2- Create an account where they can save selected images (like a stock photography website) for future reference. Which plugins would you recommend to accomplish that? Thank you for all of your wonderful content. Your posts and YT videos have been my #1 resource since starting my WP site. If there’s a plug-in that I want an overview on, WP beginner almost always has a video on it! I came across this post when searching for a way to turn text/posts into images and I’m hoping you can help be out. What I’m desperately looking for is a plug-in or two that can take a daily tip, turn it into an image, which can then be shared to twitter, fb and instagram. …I have blog-to-social and there are ‘daily tip’ plugins, but I’ve been unable to find anything that turns text to image, let alone one that displays as a daily tip with a share or retweet feature. Any help in pointing me in the right direction.would be greatly appreciated. First time visitor here, and when I clicked through from google wasn’t exactly sure what I was about to discover. Looks like I should spend some more time on your site feels like you have a lot of good tips lying around. Hopefully I can find what I am looking for. I am a joomla guy and recently just moved to wordpress, and am not sure it was the right move. What takes a minutes or in some cases a few hours takes days or weeks to do in wordpress. Which if the stat that 25% of all websites in the world are built off of wordpress makes it even more confusing as to why this is the case. First off thank you for putting all this information together. Can’t wait to install a couple of them, but I came here looking more for blog writing or organization plugins. Things like twinword that provide a real time thesaurus from your dashboard by simply pausing or tapping the shift button. Plugins that help you write smoother, better & faster. Plugins that possibly provide information, tips, links, data or even photos for your text. If such a thing exists. I have my doubts, but one can dream right. I am also finding it impossible to believe that 25% of the worlds websites have no way of organizing their media library by default, or that there is only 3 plugins in the entire world that offer media library folders. Which brings me to the question that has had me on an internet treasure hunt for days. Are you aware of a plugin that will organize my media library into folders or some media plugin that uses its own system of organization thats practical & logical? I think the one I am using now is called enhanced media library, and all it does is allow you to create categories. Which is fine for the first week of blogging, but after that your scrolling through hundreds or thousands of photos and category titles just to find the one your looking for. That isn’t exactly efficient. And my last question………… is there a way to search for wordpress plugins by category instead of keyword? Does something like this extensions.joomla.org exist for wordpress where I can go find the plugin I am looking for rather then rely on the non native english speaking developer to properly tag & keyword orientate their plugin. Its hard to believe that 25% of the world is using a platform that doesn’t have a default media organization protocol or a way to find an extension that will fill this void besides the old guess and check method. I guess if this is the case I should go hire some random freelancer to build what I am looking for and offer to the public for free to quickly surpass the only other 3 providers in the wordpress world. Sorry for the long question, but its been a few days of running into walls that I can’t comprehend even exist let alone in my path. Welcome to the community You are right it feels complicated when you move from one platform to another. 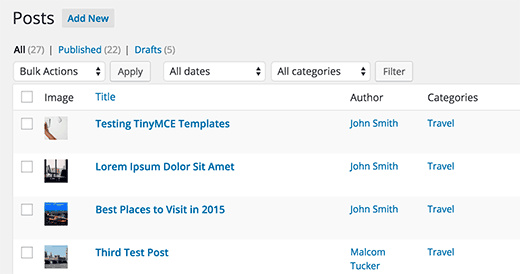 WordPress has some great plugins for writing posts but many of them revolve around managing editorial work flow and teams. You may want to check out our list of tools to manage and grow your WordPress blog. As for media management through directory. You can try Envira Gallery, it has nifty search and filtering features and allows you to organize your photos in Albums. We understand how painful it could be trying to figure out your way around as a new user. We have been helping WordPress beginners for a long time now, and we can assure you that things will become easier once you get pass this initial phase. Meanwhile feel free to ask us questions in comments and we will try to help out. You can also subscribe to our YouTube Channel for video instructions if you need. Hey There! Love your work – this site has been a freaking lifesaver for me. Do you know if there is anyway to have the featured video from ‘featured video plus’ show up in the RSS emails from Mailchimp? I’ve tried lots of workarounds but I’m just not sure how to approach this… Thanks in advance! Thanks for the kind words. You should ask on plugin’s support forums, there may be work around to do that. 700k active users and 2,337 five star reviews, I thought we would have snuck in? In this collection, we recommended only one tool for each job. Our team uses EWWW Image optimizer, so we recommended the plugin that we are using ourselves. I have used Smush in the past and respect the work that you guys do. As a courtesy, I have updated the article to added a link for Smush below EWWW as an alternative. Can you tell me how many plug-ins (generally speaking) I can install without adversely affecting my site load speed? I’ve been told to limit the number to keep Google happy. Also, if I have a plug-in installed but deactivated, will this affect load speed? Thank you for your informative advice. Please see our guide on how many plugins should you install on your WordPress site. Thanks for sharing this list. 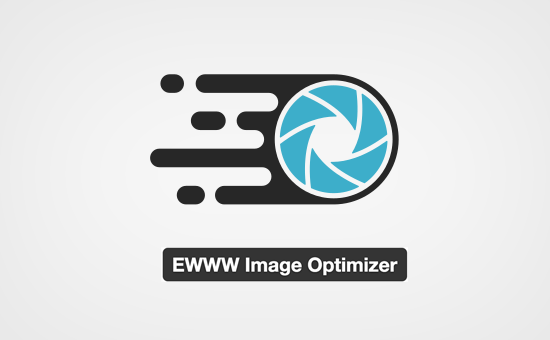 I agree to use the EWWW Image Optimizer plugin, it helps in optimizing images in WordPress. Other alternatives is the WP Smush plugin which is great as well. Really Really Great Artical. I want to know shutterstock is a free service or paid. Shutterstock is a paid service. We use them for all of our blog thumbnails and other images. OK, so I know the owner of wpbeginner Syed also now owns Envira and Soliloquy (Your no.1 and no.2 recommended plugins) and they are extremely good so you are right to list them, but I am suspicious by the fact that you haven’t included Foo Gallery, Imagify or any of the other highly regarded sliders. I always follow guidance from WP Beginner, so I hope this is a genuine slip and that we don’t start to see only recommendations of owned products or those that offer the best affiliate return. Your impartiality over the years is what has me always coming back. Thank you for the feedback. We started the list with the most broad use-case plugins and narrowed it down to the more specifics. That’s why you see Gallery, Slider, and image optimization as the top 3 and then the list goes to very specific plugins. Our goal with plugin lists like these is to not have duplicates but rather recommended one plugin for each task such as galleries, sliders, A/B testing featured images, image optimization, etc. There are dozens of plugins to do every task in WordPress which makes it really hard for beginners to pick and choose the right plugin. One of the constant feedback we get from users is why don’t you just pick and recommend one solution for these list articles. Foo Gallery is a great plugin and that’s why it’s listed among the top 3 in our best WordPress gallery plugins article. However when you’re talking about X plugins to manage images, we have to do our best to make sure each plugin is offering something unique rather than duplicates. Once again, we appreciate your feedback and want to let you know that we’re here to serve.